As can be seen from most of my reviews on FC, I usually tend to focus on older films instead of recent releases. It’s not that I’m stuck in the past or something like that. It’s because I often have no idea what I should go see these days. However, there’s one film that recently grabbed my attention. 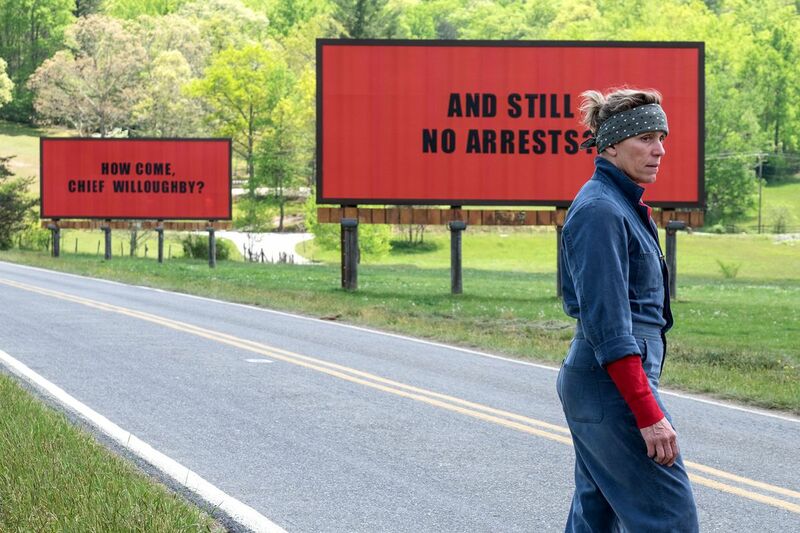 It’s called “Three Billboards Outside Ebbing, Missouri”. I became interested in the movie since it had an unusually long title and several people I know said that it’s a good film. So there was no better way to clear my curiosity than to watch it in a theater (an art-house theater, to be more specific) with my friends. I deliberately didn’t watch any trailers or clips from the movie prior to the screening since I wanted to experience it without prejudice. To my surprise, it’s actually better than I expected and it reminded me of a particular TV show that I enjoy. 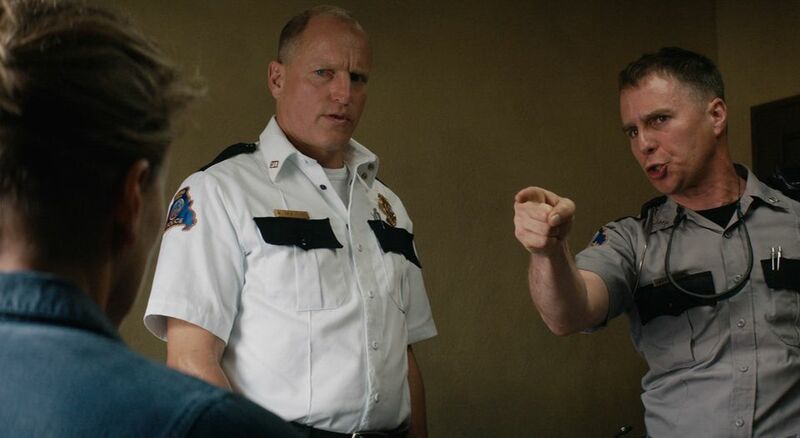 This embarrasses the police officers of the town, especially Chief Willoughby (Woody Harrelson) but is just the beginning of an interesting saga. It’s about love. It’s about redemption. It’s about things that don’t look like what they seem. And, as the story progresses, it becomes less about the murder case and more about the people in town and how they change throughout the course of the film. I previously implied that the film reminds me of a TV show I like. That show in question is the original run of Twin Peaks. Although the film doesn’t have supernatural elements or over-the-top WTF moments, they both share the same types of weird character behavior, relationships, evolution of lives, a murder case that serves more as a Macguffin than the actual story and a nice small town that is hiding something terrifying. Since this is a character-driven type of film, I’d like to mention three interesting characters in order to elaborate what makes this film so interesting. Mildred: She’s the lead female character. As I said, she lost her daughter and will do anything to find those responsible. At very first glance, she reminded me of a typical Pam Grier type heroine from films like Coffy since she has a heroic attitude and cool dialogue. But as the story progresses, we learn that she had an argument with her late daughter (which implies Mildred feels especially guilty about her daughter’s death) and she also does something that makes us question whether she should be considered a “good” person or not. It’s kind of like the final climactic scene in Spike Lee’s Do The Right Thing, in which it asks “What constitutes being “right”?”. But we can understand that her motives come from the sadness and anger towards anything that hinders justice and the fact that there’s no breaks in the case at all. So is all her behavior justified? You must decide. Willoughby: Before I go further, I have to put the super cliche *SPOILER ALERT* claim here since I’m going to reveal what happens to him and another character that I didn’t mention yet. So if you haven’t seen the film, please skip my analysis of Willoughby and the other character. Jason Dixon (Sam Rockwell): He’s another very intriguing character. In the beginning, he’s portrayed as a “comedic sidekick/henchmen” type. He’s a redneck police officer who likes to listen to music and is suspected of being gay by people in town. However, after the suicide of Willoughby (which happens because of his cancer, NOT the accusation from Mildred), Dixon thinks that the billboards are to blame for his death, so he attacks a guy who runs the billboard advertising company as well as Mildred. But in the end, after several important events (which I’m not going to reveal here), he finally tries to be a better person. 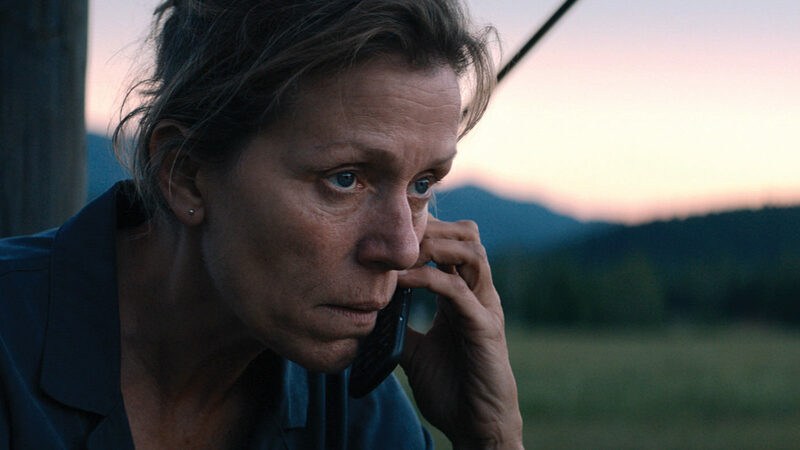 As you can see, Dixon is a pretty complex character due to his behavior that keeps changing throughout the film and in my opinion, probably the most interesting person in Three Billboards. Throughout the screening I attended, I noticed that there were several scenes that made us laugh like it was a comedy…and there were also sequences that left us shocked and speechless. Besides the shameless product placement of Kellogg’s cereal (which distracted me), this is a kind of unique film that has no boundaries and asks to question what it is to be “good”, to recognize the importance of love (not in a cliche style) and redemption. 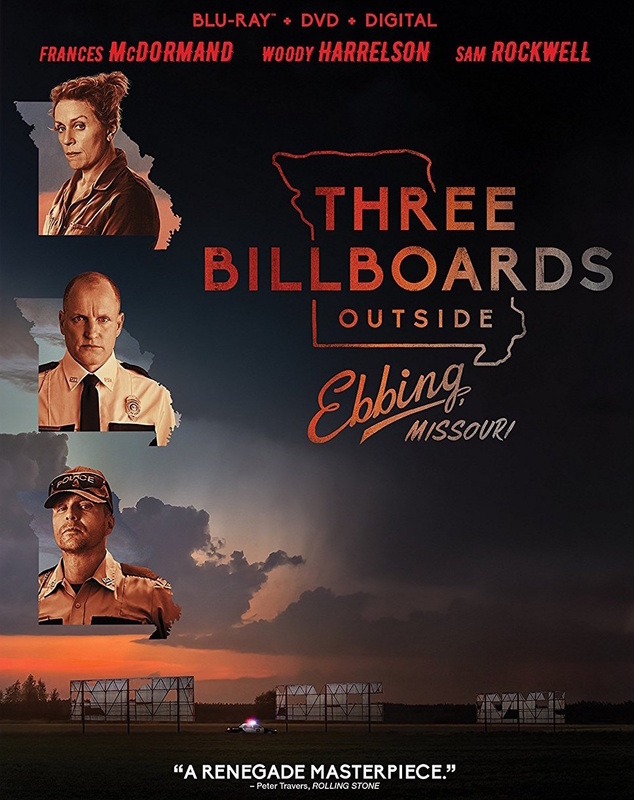 Three Billboards Outside Ebbing, Missouri is an entertaining film that gives us something very different, yet is still accessible for mainstream audiences. I seriously hope that it will win Oscars (more or less). Highly recommended. Nuttawut is a Thai student who's spending his final year in university studying marketing. In his free time he watches exploitation films... or any films from the past, writing articles, taking photos, and reviewing films for the GCDB. These activities sometimes make him "mad as hell", but he really likes that feeling!